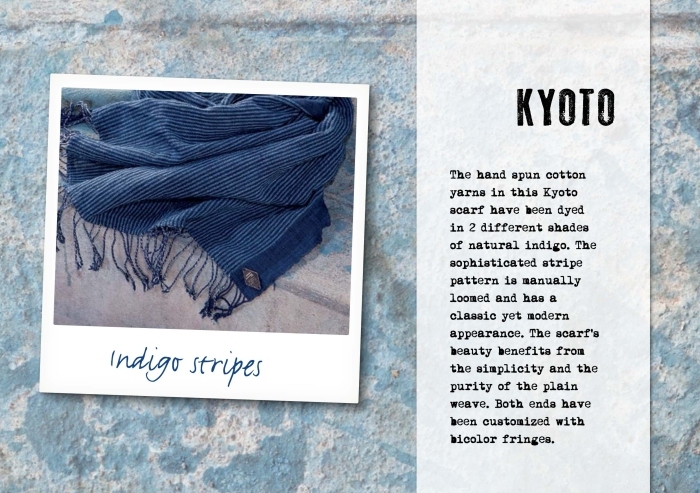 Indigo scarves for the denim lover. This is about Denim Scarves by Indigo People. 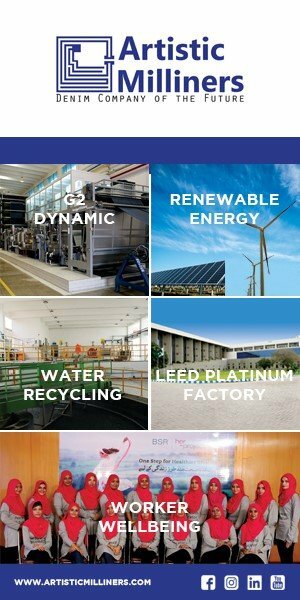 If you are as denim addicted as I am, then you will be very happy with this post about indigo scarves. 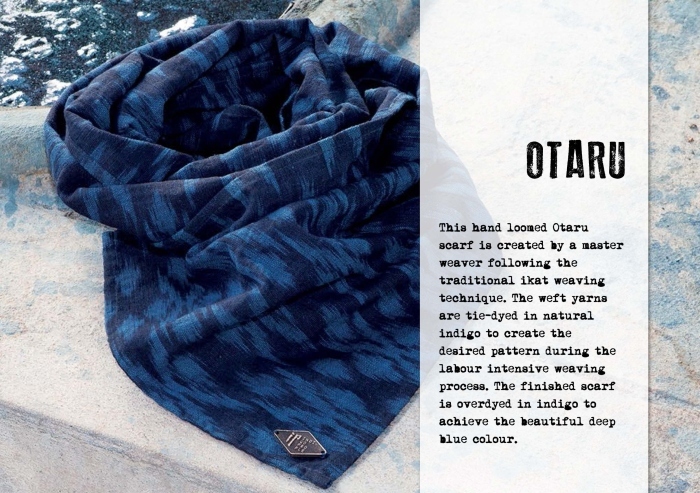 I saw these amazing scarves at the trade show here in NYC a few months ago and they are insane. Soft and silk like, they fell like a caress around our necks (OMG I am becoming a poet LOL). 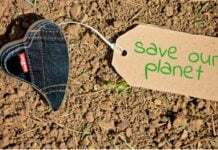 In our western consumption society, where products are made increasingly faster, cheaper and more mechanized, authentic handicrafts and their artisans are faced with extinction. At the same time, there is a group of conscious consumers with an increasing appreciation for artisan craftsmanship. On a journey to the Far East the founders of Indigo People met groups of master weavers who have been processing cotton for generations. 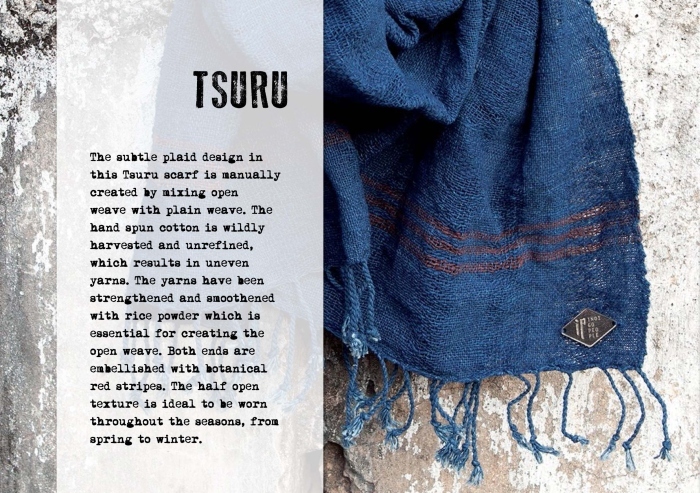 They spin the raw cotton into weaving yarns and dye them in natural indigo following a traditional, very labor intensive method. 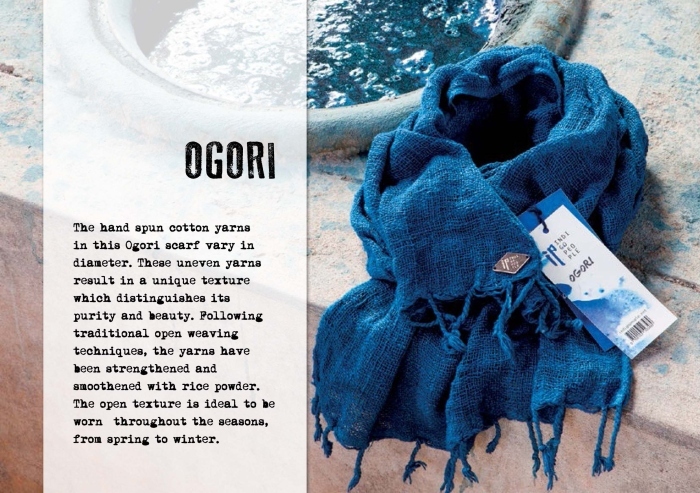 These indigo blue yarns are then manually woven into textile. 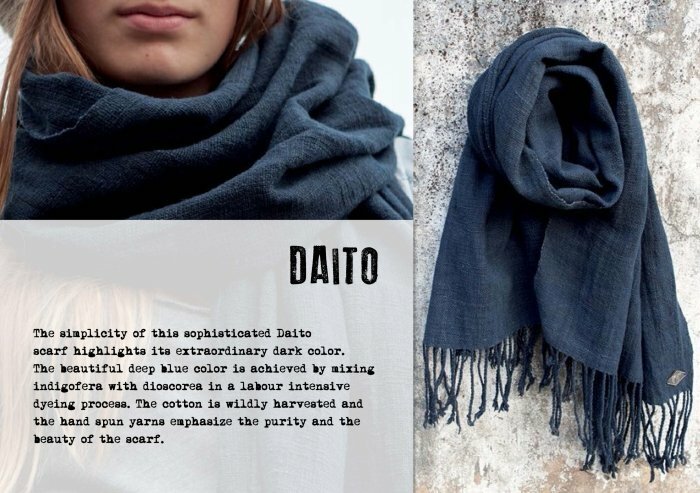 The handcrafted textile is very suitable for scarfs and shows a beauty that is raw and timeless. 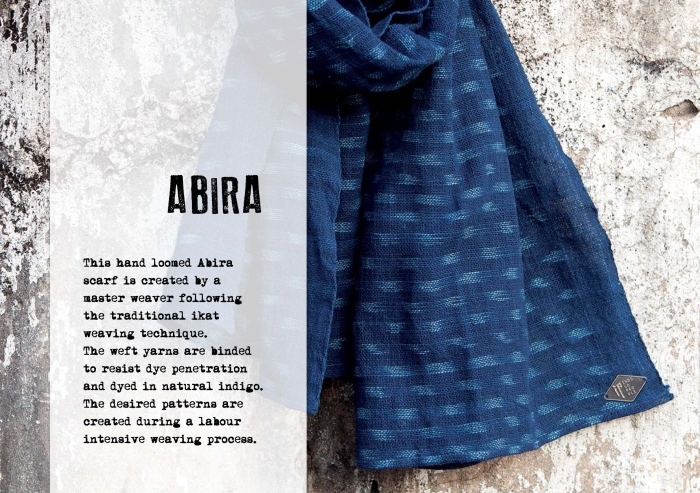 Indigo people works with different artisan communities, each with it’s own specialization in weaving technique such as ‘ikat’, ‘open weave’ and ‘4-grill’. This production method can result in little imperfections. The beauty of these imperfections give each product a unique appearance. The main material is based on unbleached and unprocessed cotton. The raw cotton is manually spun, which results in unevenness in the yarns. These little nubs in the weaving yarns give the product a natural and rugged look. When the scarfs are more worn, tho cotton fiber will get more flexible and gain even more softness. In some products the cotton fiber is combined with silk to increase the wearer’s comfort and to give the product a subtle shine. 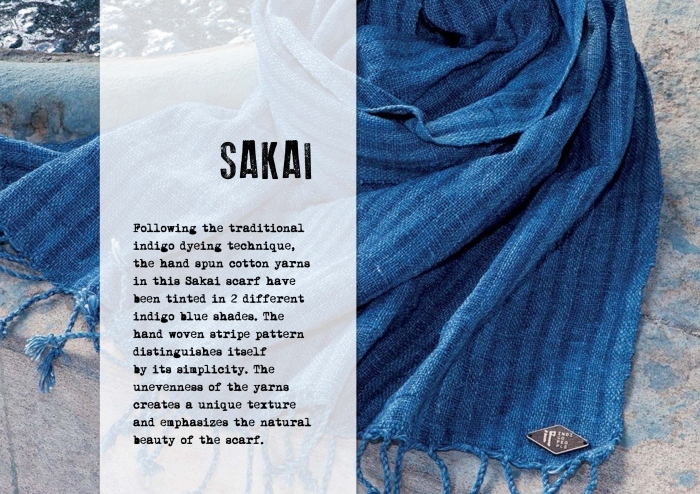 Indigo People was born out of love for traditional craftsmanship and the beauty of natural indigo. The brand is an homage to the artisans who keep up their heritage and to people with a great affection for authentic handicrafts. 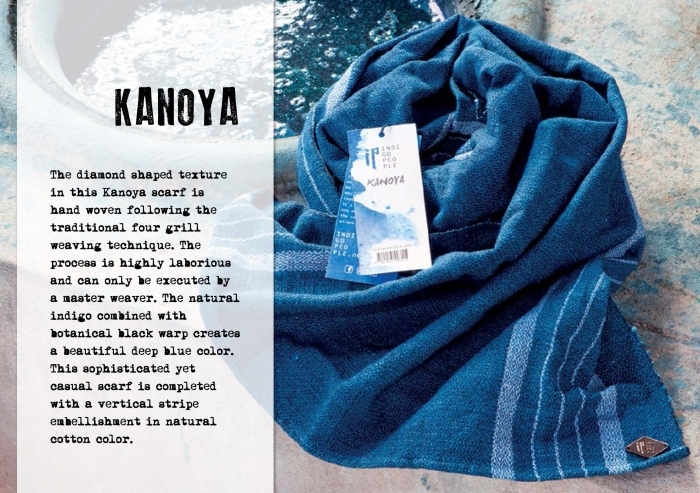 Combining traditional craftsmanship with contemporary design Indigo People creates a unique collection of scarfs for indigo lovers.